‘Diversity’ is arguably one of the most worn out buzz words of late when talking about the legal profession, after Brexit of course. Its meaning is relatively simple but its implementation is quite the opposite. 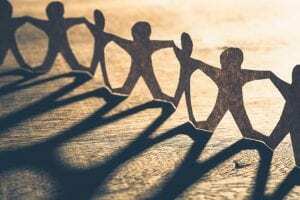 The Law Society emphasises the need for diversity and inclusion within law firms through a number of reports centred around “inclusivity, responsiveness and good employers”. However, the question remains; have law firms truly heeded this call, and where might they be going wrong? The issue of gender diversity in law firms goes hand in hand with much of what women suffer in most industries and sectors. There is a clear problem with the maintenance of a gender balance at both the entry level and within the higher echelons of the profession. According to SRA reports, Women make up 48% of all lawyers in law firms and 47% of the UK workforce. Whilst these numbers are not exactly groundbreaking when talking about general gender imbalances, the statistics relating to women in higher positions is significant. In 2017, women make up 59% of non-partner solicitors compared to just 33% of partners. The type of law firm has a strong impact on the gender gap. The highest paying practices in large cities such as London are the most male dominated. However, there are signs of early development: When analysing mid-size firm statistics, women surprisingly now make up two thirds of solicitors (66%) and this has grown from over the past four years (60%). Furthermore, when looking at the partner gender split, over a third of the partners in these mid-size firms are female (37%) and this has also grown from 31% in 2014. If 2018 statistics are anything to go by, women are slowly but surely catching up with their male counterparts, especially at mid-size firms. Whilst the larger firms are playing catch up, some are taking an active role. Linklaters in 2018 has become the first magic circle firm to publicly reveal gender pay gap data. Much like the gender gap, there is still a substantial discrepancy in BAME partners and trainees at larger firms. The largest firms tend to employ a lower proportion of BAME partners, this being 8%. This is interestingly contrasted with single partner firms, where just over a third (34%) of partners come from a BAME background. However, when considering seniority differences among BAME lawyers, there is actually very little difference. As of 2018, 21% of solicitors are BAME compared to 20% of partners. This has been followed by a significant increase in the proportion of BAME lawyers working in law firms in general, now one in five. There has been a steady increase since 2014 (14%) to 2017 (21%). A possible explanation for this may be the increase in lawyers from the Asian community, up from 9% in 2014 to 14% in 2017. There has been a slight increase in black lawyers, now making up 3% of lawyers in the UK, risen by 1% since 2014. However, there is still a clear deficiency in the proportion of black lawyers compared to their Asian counterparts. From a personal perspective, having graduated this year, I found that the majority of my male, white classmates have already secured positions at mid to higher tier law firms as trainees or paralegals. This is contrasted with a significant number of my BAME peers including myself either still searching for positions only getting as far as the interview stage. Just recently, I attended Herbert Smith and Freehills’ Multiculturalism in the City event. I was able to speak to an Asian HSF solicitor who admitted to changing his name to ‘Steve’ when answering client and other professional calls for the purposes of not divulging his ethnicity. Having now briefly examined the statistics, there are a number of comments to be made. For women, whilst there have been welcome changes within lower to mid-tier firms, magic circle and silver circle are having to play catch-up and this unfortunately will take some time. For ethnic minorities, there are enough signs to make one feel optimistic about better BAME representation. However, as with the gender disparity, firm size heavily affects the proportion of BAME lawyers. Overall, recent data shows that there is some cause to be hopeful, and although there is much more to be done in terms of diversity and law firms, changes are slowly reaping their rewards. The “Gay-Cake Row”: Equality vs Freedom of Conscience?